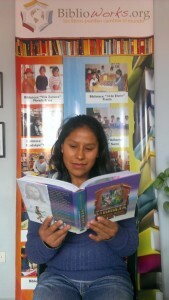 We’d love it if you could get involved with our campaign and share with our Facebook page and Twitter a picture of you reading the book you would love to share with a Bolivian child. We’ve put together a few of our favorites at the bottom of this email but would love to see YOURS. Donate to our Indiegogo campaign here or share the link! We’re around $1,000 short of our target with 8 more days to go…help us reach it! 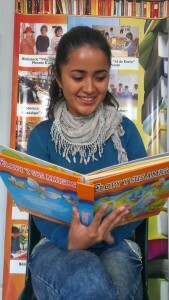 Flopy y sus amigos es el libro que quiero compartir con una niña o uno niño Boliviano porque es un cuento adecuado para niños pequeños y considero la necesidad e importancia de despertar el gusto por la lectura recreativa en los pequeños del hogar. Flopy and her friends is the book I would like to share with a Bolivian child because it is a great story for young children and is about the importance of forming a love of reading in little ones. The Northern Lights es el libro que quiero compartir con una niña o uno niño Boliviano porque es un cuento de nuevos mundos y como una niña tiene el poder para cambiar el destino de toda de la humanidad. Proba que cada uno de nosotros puede ser tan poderoso, no importa quien o de donde somos. The Northern Lights is the book I would like to share with a Bolivian child because it’s a story of new worlds and how one girl has the power to change the destiny of all of mankind. It proves how powerful each and every one of us can be, no matter who we are or where we come from. 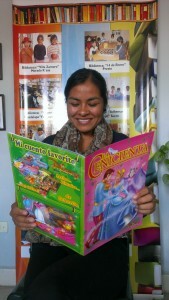 Cinderella es el cuento muy hermoso que quiero compartir con una niña o uno niño Boliviano, porque nos enseña que a pesar de pasar por cosas duras, tienes la oportunidad de encontrar personas y cosas buenos, pero siempre teniendo presente que la humildad y la sencillez nos hace personas buenas. Cinderella is the most wonderful book which I would like to share with a Bolivian child, because it teaches you that despite having to go through many difficult things, you that you will always have the chance to meet fantastic people and things but you must always bear in mind that humility and modesty are what make good people. 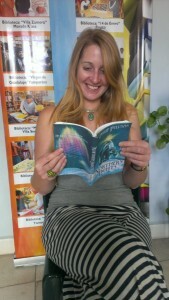 Interna (Intern in our Sucre office). 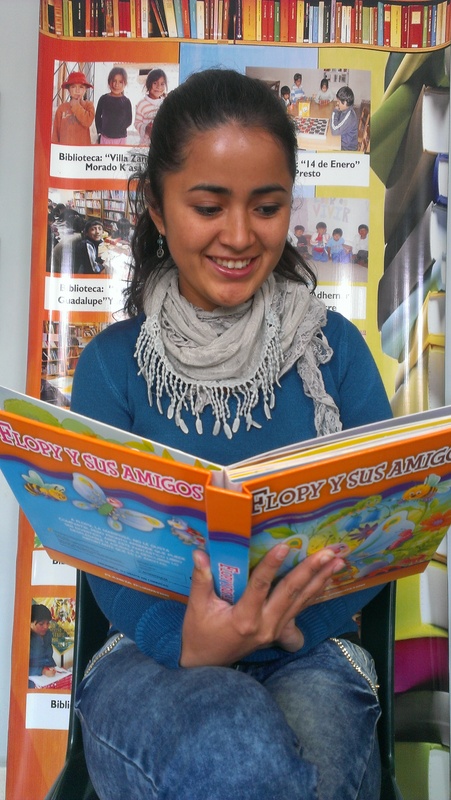 La Biblia es el cuento que quiero compartir con una niña o uno niño Boliviano, porque dentro del maravilloso mundo de la Biblia puedes encontrar varias historias interesantes que impacten la vida de cada niño. The Bible is the book that I would like to share with a Bolivian child because inside the incredible world of the Bible you can find various interesting stories which have an effect upon the life of each and every child. I read how to eat them on the internet berofe I went, and I made sure to watch the others around me. You hold it on one end and peel off the tip. Some people then scoop out the insides with a spoon (but never going too far below the shell), and some people just go for it and eat very carefully with then open end of the saltena always up so the juice doesn’t spill everywhere.Yes, I think you are right that it is a little later in the morning. However, this spot I went to in Sucre is super popular, and I read you have to get there early, or they run out. They open at 8am. I think I went around 10am, and I was good. Didn’t want to risk it!Stephanie The Travel Chica recently posted..